Around 1913, Mr. Peggs took Carl M. Witherbee, a local banker into the business, the firm becoming known as Peggs and Witherbee. 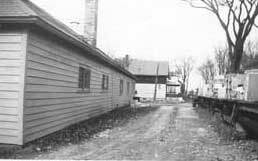 The partnership continued for five years until Mr. Peggs, because of serious illness, sold his interest to Charles J. Whalen, a stonecutter from Gouverneur, New York. 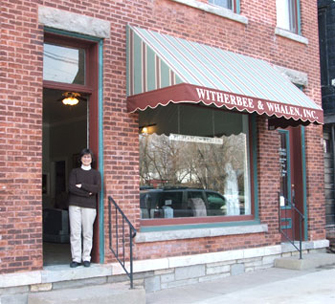 The partnership of Witherbee & Whalen continued for thirty six years when the business was taken over by William D. Stalder, also a local banker, and Mr. Whalen’s son, Robert P. Whalen. 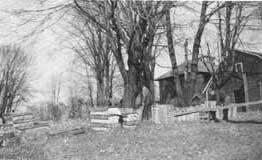 For a period of about three years in the early 1920’s, Witherbee & Whalen had a monument business on Main Street in Malone, New York. A young stonecutter there by the name of Henry Basilier, known to his friends as “Buster” came to work in the Canton shop upon the consolidation of the two businesses. Buster continued on as the firm’s stonecutter until 1977. George Ladison who began as Buster’s apprentice in 1957, has carried on the Witherbee & Whalen tradition of fine workmanship until his death. 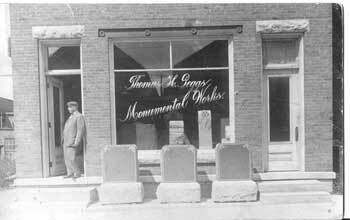 The early 1920’s also saw the business grow into the manufacture of concrete burial vaults. 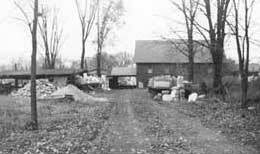 Later in 1956, when Robert Whalen and William Stalder were partners, the company again expanded its product line to include pre cast concrete septic tanks and related products. Witherbee & Whalen’s service area has continued to expand and now spans most of Northern New York and the province of Ontario. Bill Stalder and Bob Whalen were partners for thirty five years growing a fine, successful and well respected business in Northern New York. In 1991, Mr. Stalder retired and the business was incorporated. Today the major shareholder in the business is a third generation Whalen, Catherine W. Siematkowski. 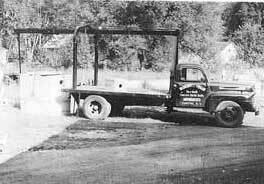 From its early years as Thomas Pegg’s Monument Works to its current ownership under Cathy Whalen Siematkowski —a third generation Whalen— Witherbee & Whalen, Inc. has provided the North Country with quality workmanship, reliable service and steady employment. 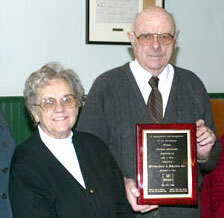 Robert and Elizabeth Whalen, shown here in January, 2005, receiving a plaque from the New York State Insurance Fund "in appreciation and recognition of our continuous 90-year business relationship.